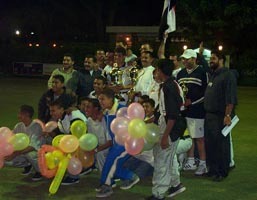 This event took place between the 19th and 26th of October at the Gezira Club in Cairo. 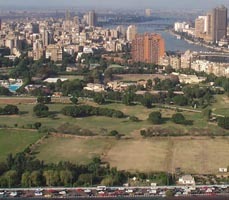 The club is in the foreground of this photo, which was taken from the top of the Cairo tower. 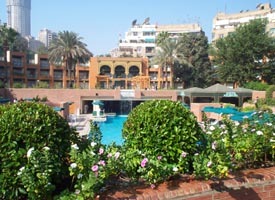 Also in the above photo is the Marriott Hotel, where most of the foreign players were accommodated. Below is a shot of the pool at the hotel. 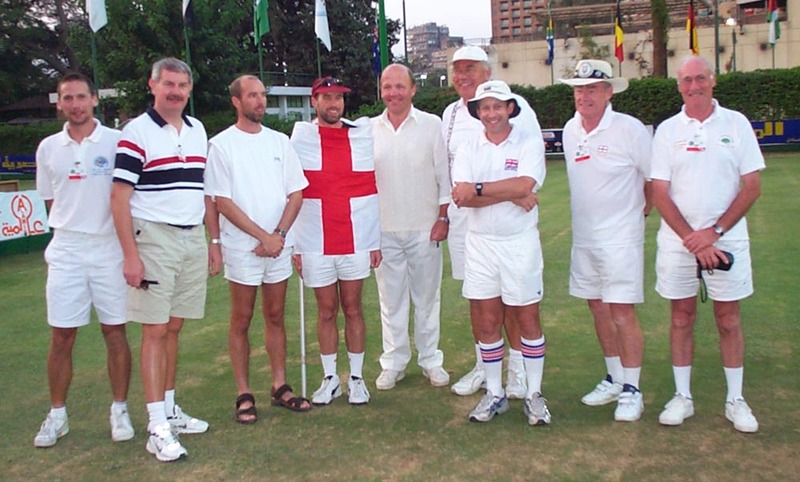 The highest-placed Englishman was Stephen Mulliner, who finished 4th. 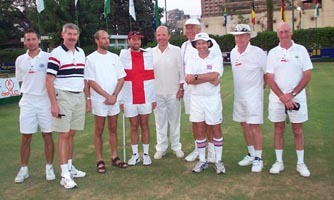 He can be seen third from the right in this photo of the English squad. 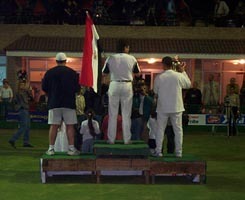 The top three players were all Egyptian. This is the view I had of them during the closing ceremony. And this is a view of them with the referees and ball boys. 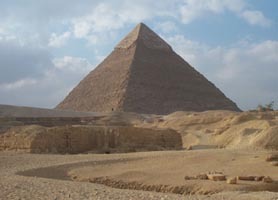 Of course, I also found time to visit the pyramids.